Two-tone 12 oz. 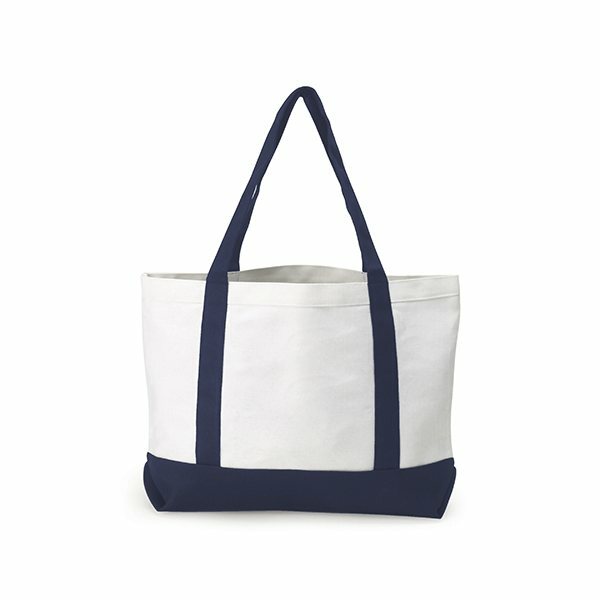 cotton canvas navy/white tote bag. I was also pleased with the price; in comparing aprons. Quality of fabric and print job is excellent. looks not cheap, prints well,price is fine Very high perceived value and good quality. We were very pleased. The service was great since the delivery was expedited. We're very happy. Everybody who received one loved them. The children loved these.These were such as great hit, we will be ordering again.